Happy Halloween… Ever feel like you're being watched when you're all alone in the dark of night? …in a graveyard. 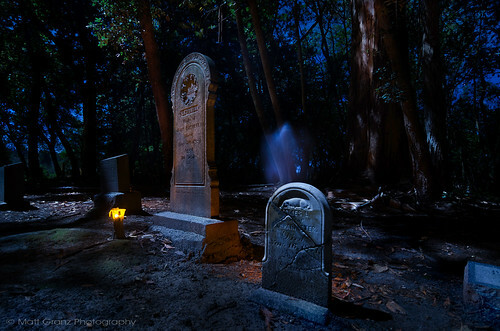 Long Exposure fun at night in the Spring Hill cemetery near Sebastopol, CA was had until the police kicked Miguel, and I out. All light provided by the moon and some electric votives (to create glow). Yes, I am the ghost.